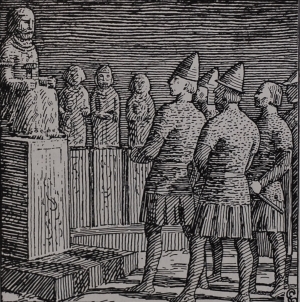 Description: This scene of Baldr's funeral pyre on board the ship Hringhorni is from Louis Moe's Ragnarok: En Billeddigtning. 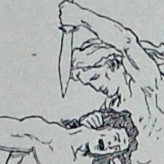 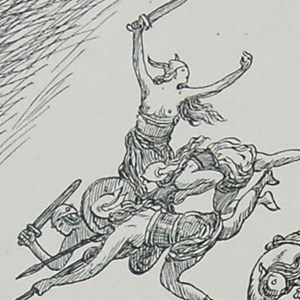 The body of Baldr's wife Nanna has been placed on top of his corpse. 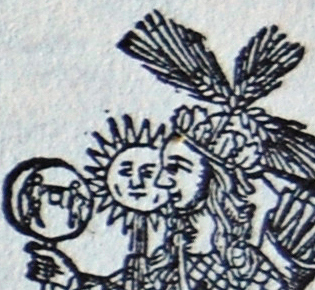 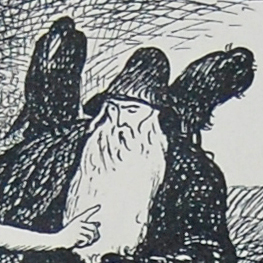 The figure in the lower right hand corner is likely the dwarf Litr. 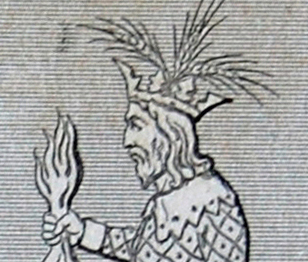 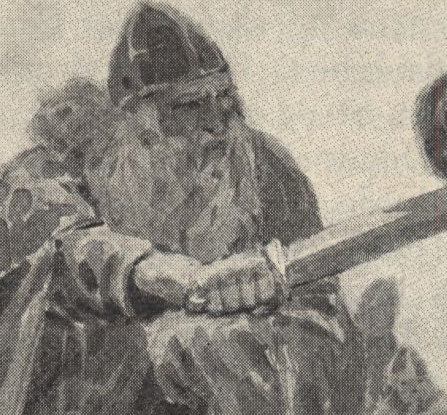 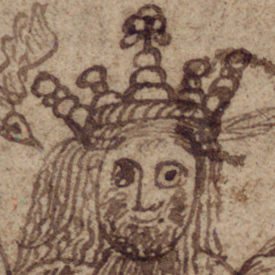 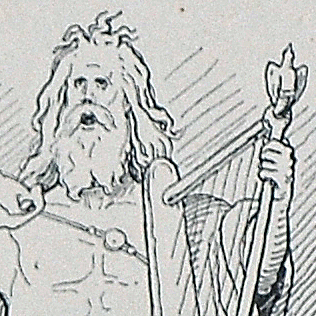 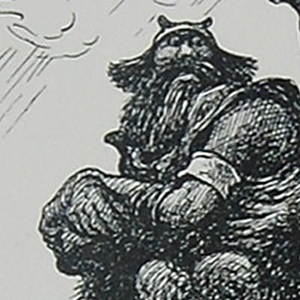 The dwarf is mentioned in the Prose Edda when he annoys Þórr and the god kicks him into the flames. 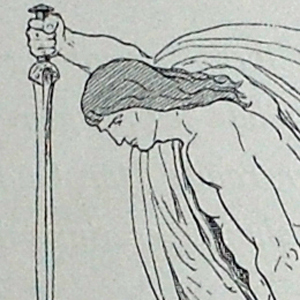 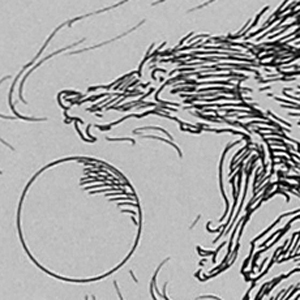 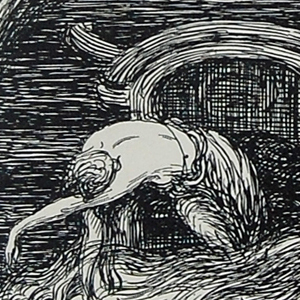 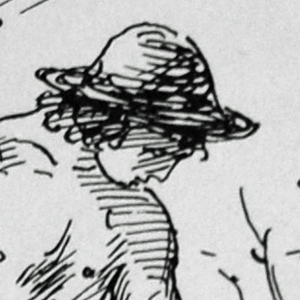 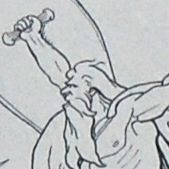 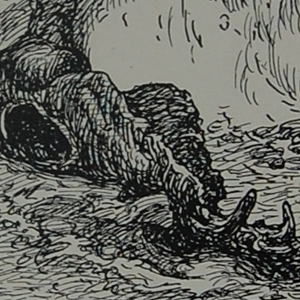 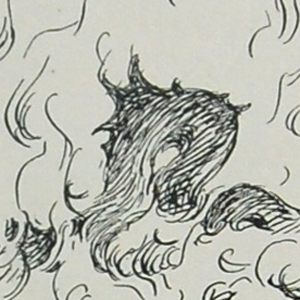 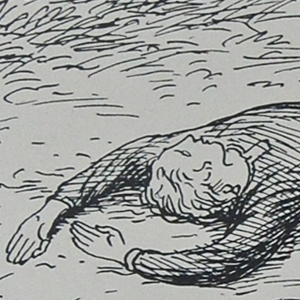 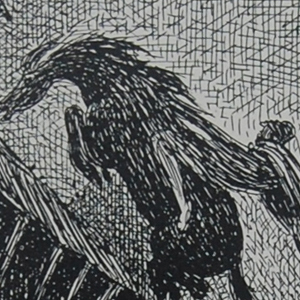 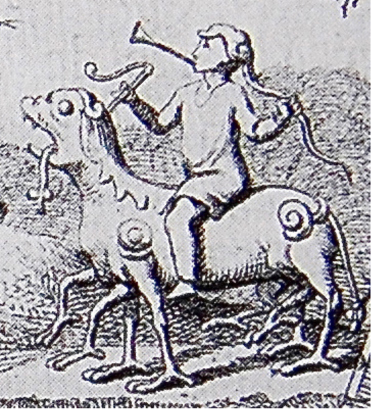 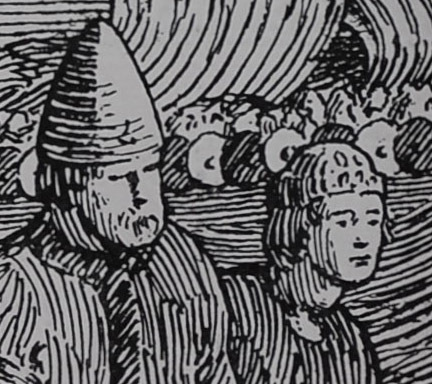 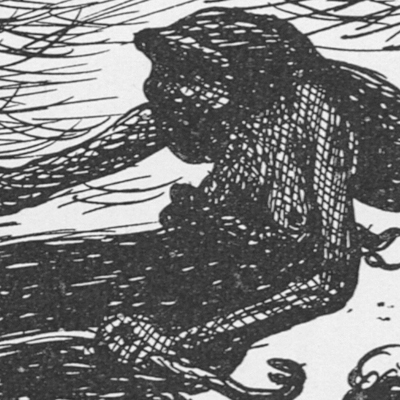 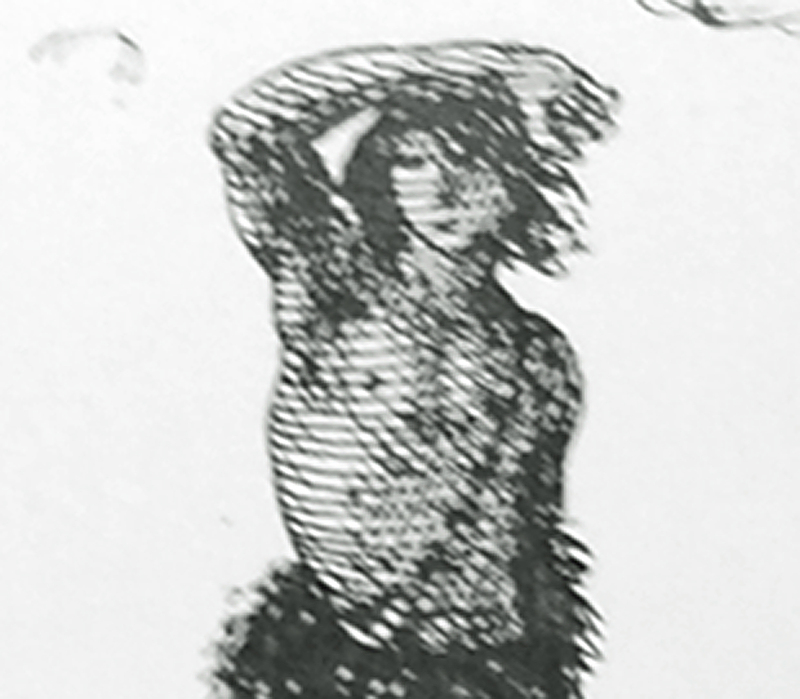 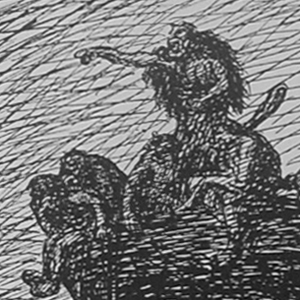 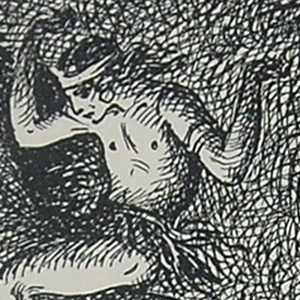 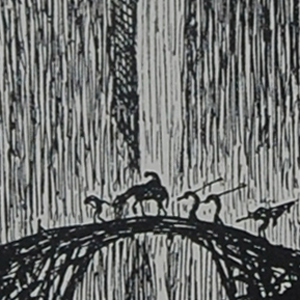 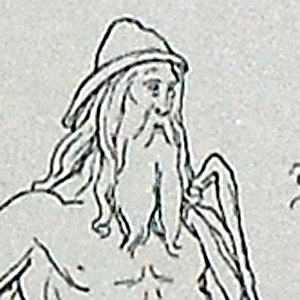 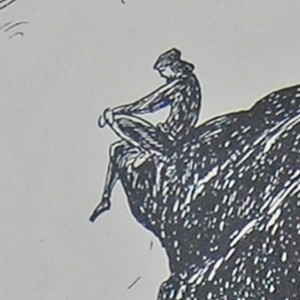 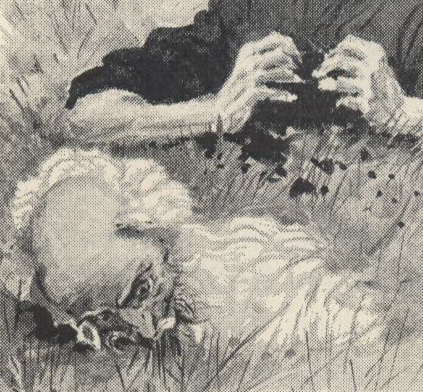 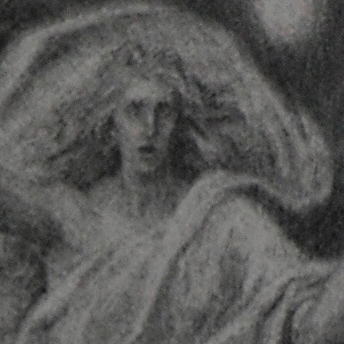 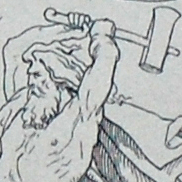 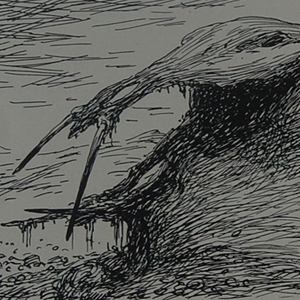 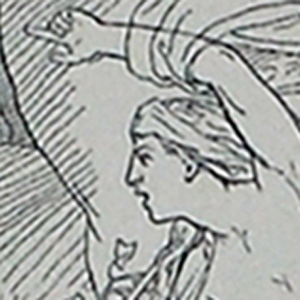 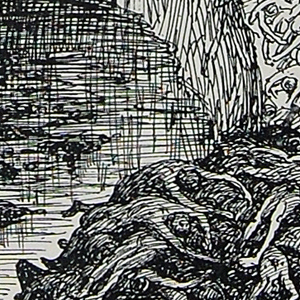 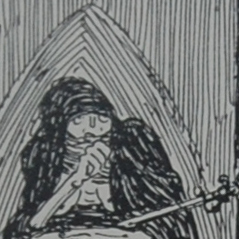 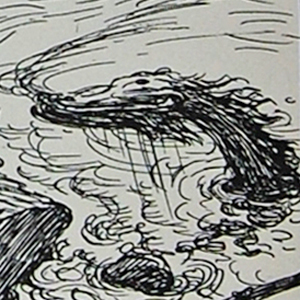 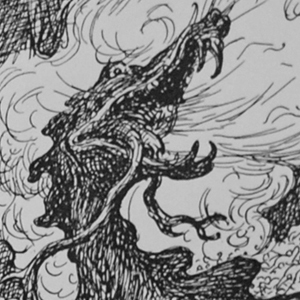 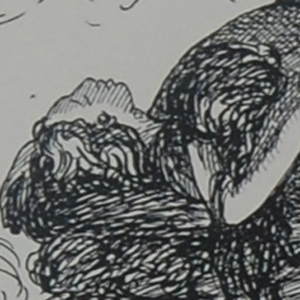 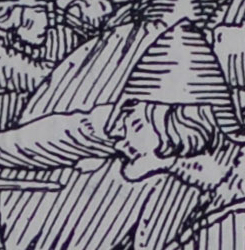 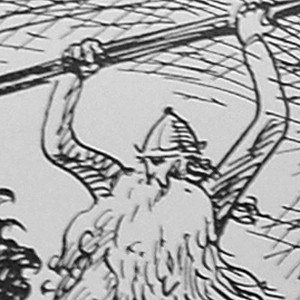 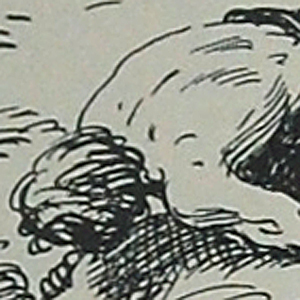 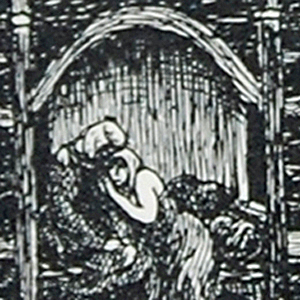 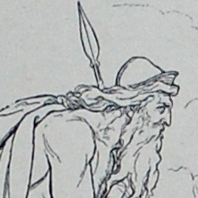 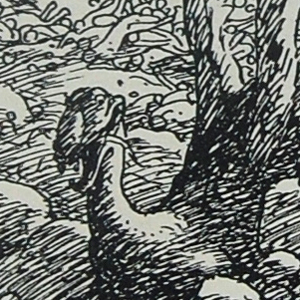 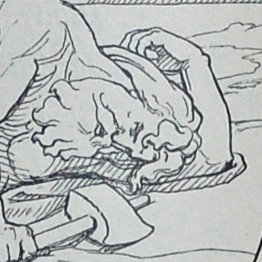 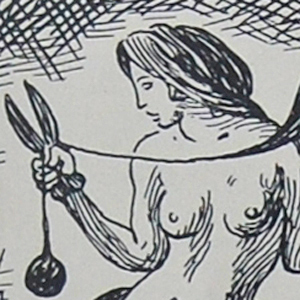 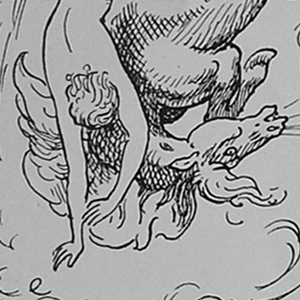 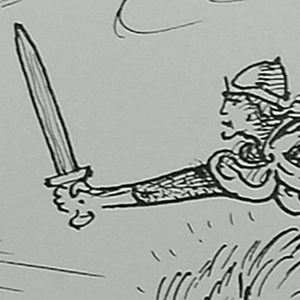 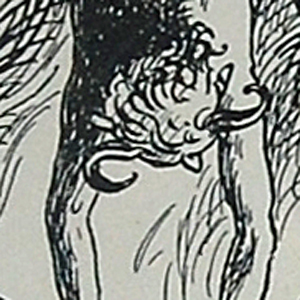 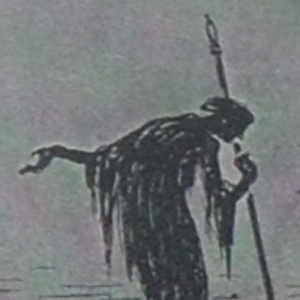 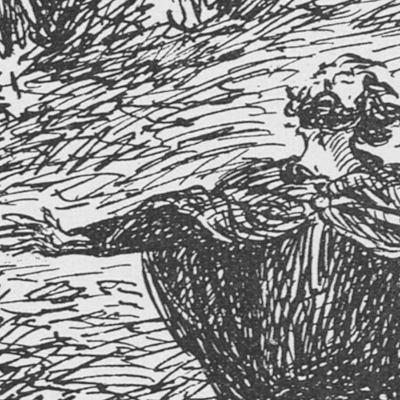 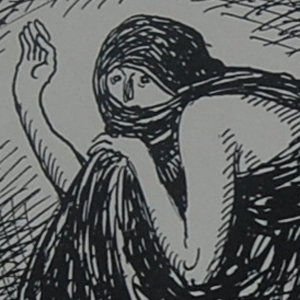 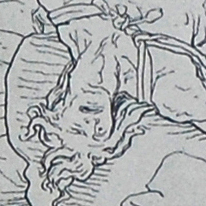 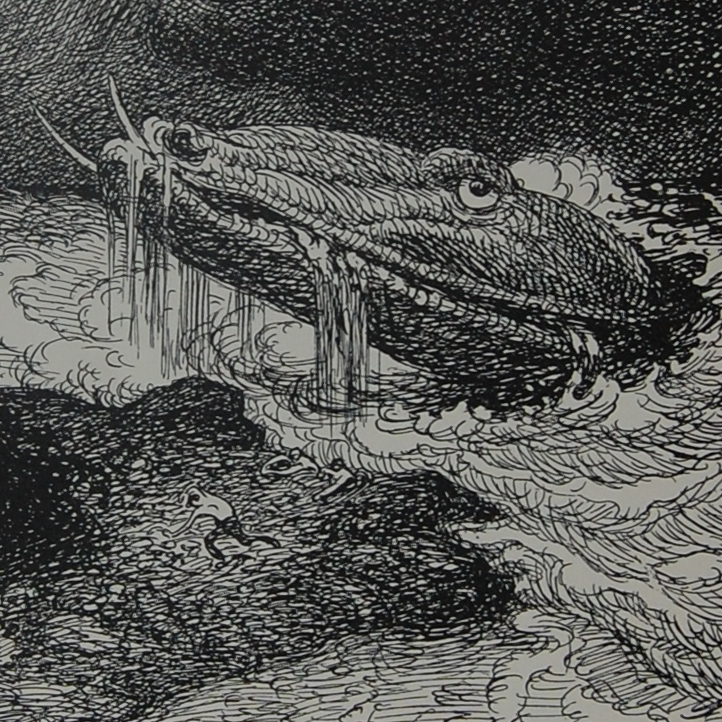 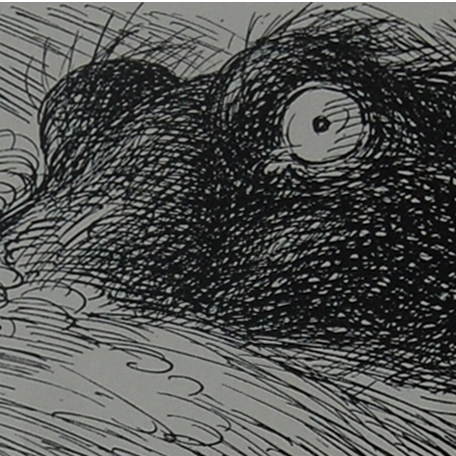 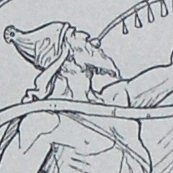 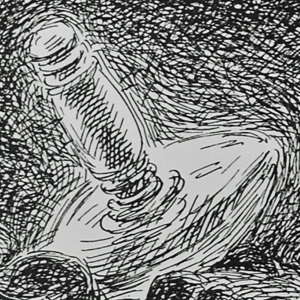 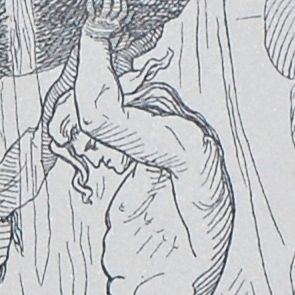 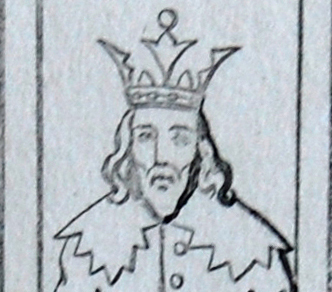 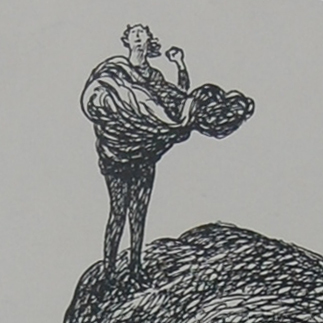 Some of the illustrations in Ragnarok: En Billeddigtning have two digit numbers, along with Louis Moe's name within the illustration. 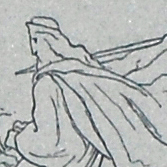 This illustration has Moe's name but does not have a number. 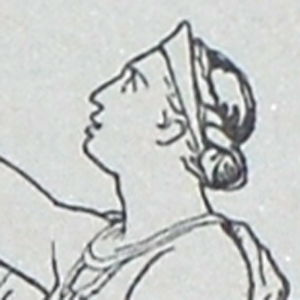 >is the wife of Baldr and the mother of Forseti. 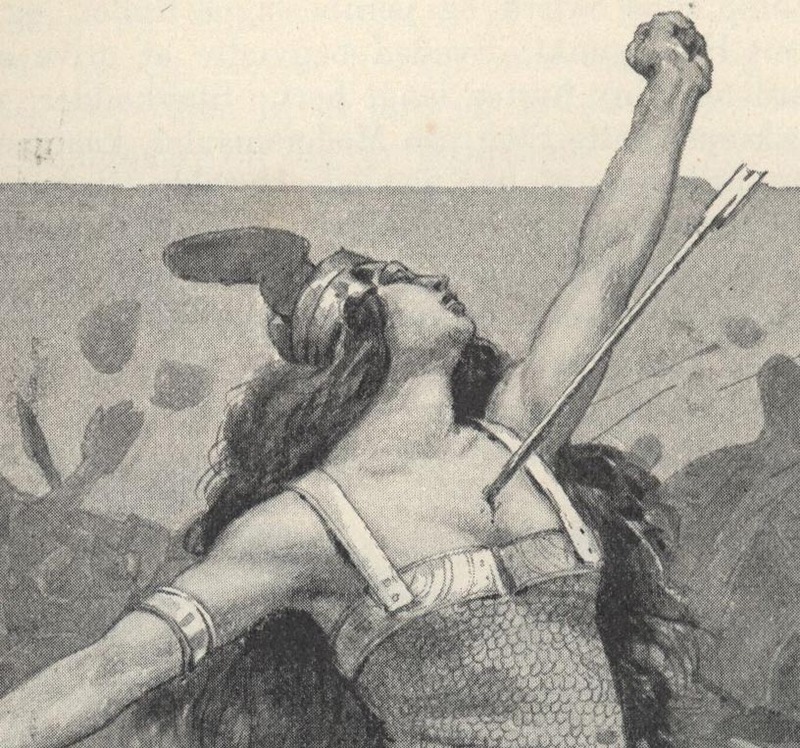 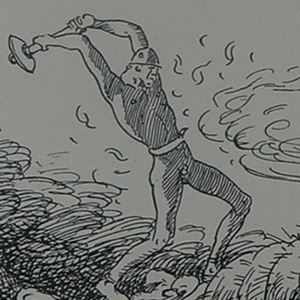 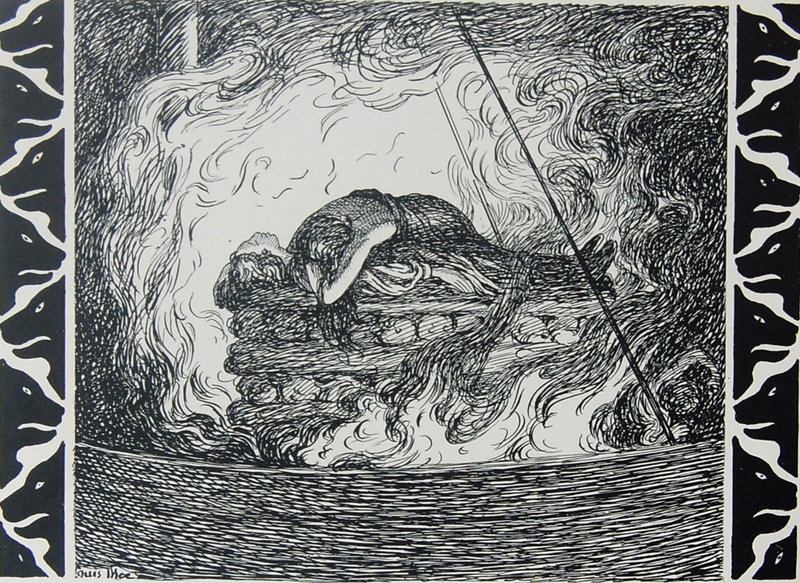 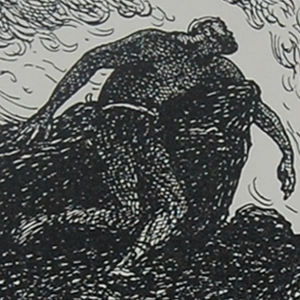 According to Snorri, Nanna dies of grief and is burned along with Baldr on his funereal pyre. 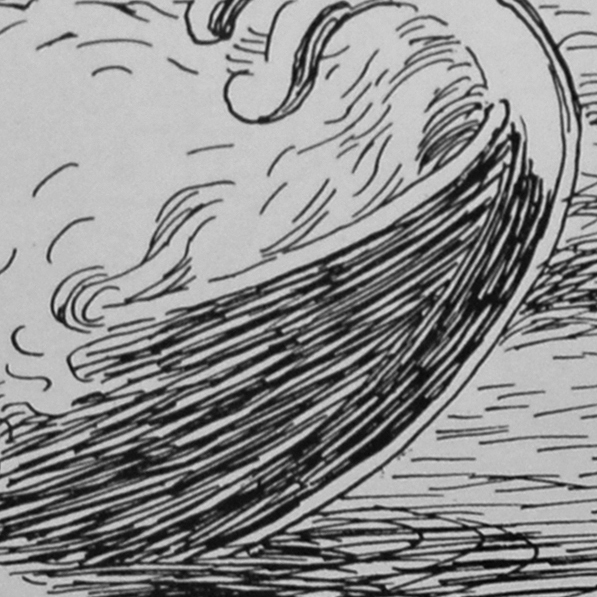 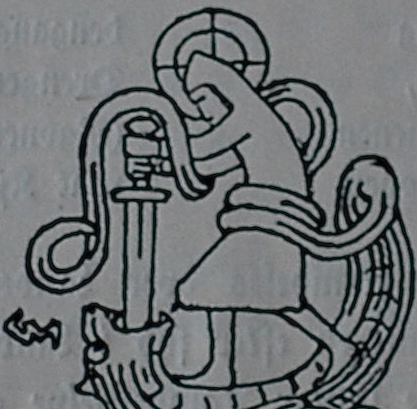 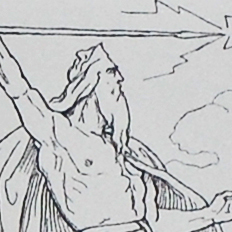 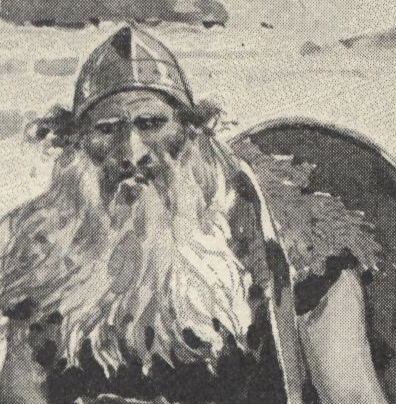 According to Snorri, Hringhorni is the name of the ship that held Baldr's funeral pyre.